October 23, 2018 October 15, 2018 Team Geaux RealtyLeave a Comment on Do You Need an Emergency Plumber to Save the Day? There are plenty of plumbing issues you can DIY. After all, plumbing is just a set of fancy tubes that connect in a logical way to move water around. It’s not magic. It is, however an incredible inconvenience to have indoor plumbing sometimes. Certain issues like minor leaks, problems with your toilet tank like a flapper that doesn’t quite seal or a handle that won’t flush, and household clogs are often entry-level homeowner difficulty. * No results in about 10 minutes. That is to say, after you located the problem. It can be very time-consuming to track down a clog, leak or other faulty plumbing part. But once you find it, if you’re not starting to make any headway within about 10 minutes, you need help. You’re just going to get more frustrated and tired and it’ll take even longer for the plumber to get there. * Your pipes are cast iron, steel or copper. Metal pipes are great for some things, but they’re not for beginners. If your pipes are basically made of anything but plastic, you need a pro. Each type requires specific knowledge and tools to manage. * Every drain is backed up. If you notice your tub is backing up and every drain that’s before it in the plumbing architecture is also backing up, you have a big problem. I’m not saying it’s roots in the line, but it might be roots in the line. Or a toy your child flushed. Either way, this is where the kind of cameras that plumbers use to evaluate sewer lines come in really handy. * You have no water pressure to more than one outlet. No pressure to one sink or appliance might indicate a bit of sediment in the little screen filter that is sometimes fit between the device and the water line or that you forgot to turn the shut off valve all the way back to the “on” position. However, if a few of your plumbing fixtures are suffering this problem, you could have rust in the lines or other problems that need a pro to fix. * You just really don’t know where to start. There are some plumbing issues that aren’t all that complicated once you know how to fix them, but figuring them out on the fly in a semi-panicked state is not going to be easy. This is where you call a pro sooner rather than later. Ask if you can watch, often they’ll show you how to perform basic plumbing jobs. You get a lot of value for the fee that way — if the problem ever happens again, you know exactly how to go about fixing the problem. When you encounter a plumbing issue that feels like you might be able to fix it, given enough time, ask yourself seriously how much your time is worth. The thing that many homeowners neglect to figure into the equation is how long that job will take to DIY. If you’re going to have the kitchen torn apart for days because you’re working a full-time job and also you’re following instructions from the internet that you have to keep referring back to, maybe it makes more sense for the plumber to come and knock the issue out in an hour. 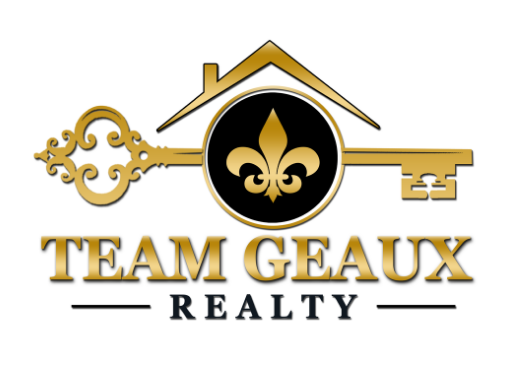 When you need a pro, Contact your Team Geaux Realtor to get a list of plumbers in your area.